1. I can’t make things that small. I don’t know if it’s the size of my hands or something, but it’s just too hard for me to knit very tiny things. 2. I don’t see the point in these things. Yes, they are cute, but so what? What are you going to do with it? 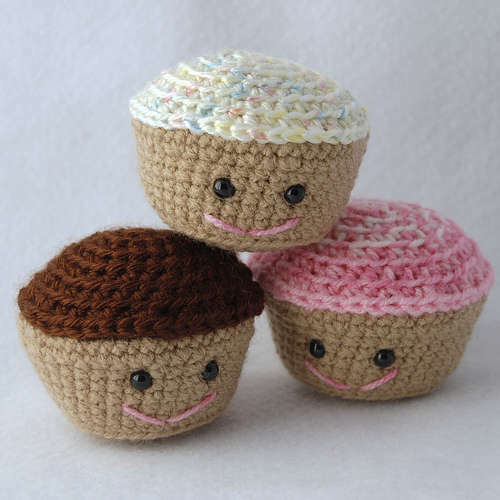 A happy cupcake won’t keep you warm at night or hold all of your yarn. In my mind, they are completely pointless. And as much as I hate the impracticality of these tiny things, I realized that there is a great (and irrational) demand for them so I finally decided to give it a go. I’m going to show you pictures of what I made now, and I’m warning you, they are not your typical “cute”. But please remember who’s knitting these things: the guy who once thought that filling a teal colored rabbit with 5 pounds of rice would be cute. 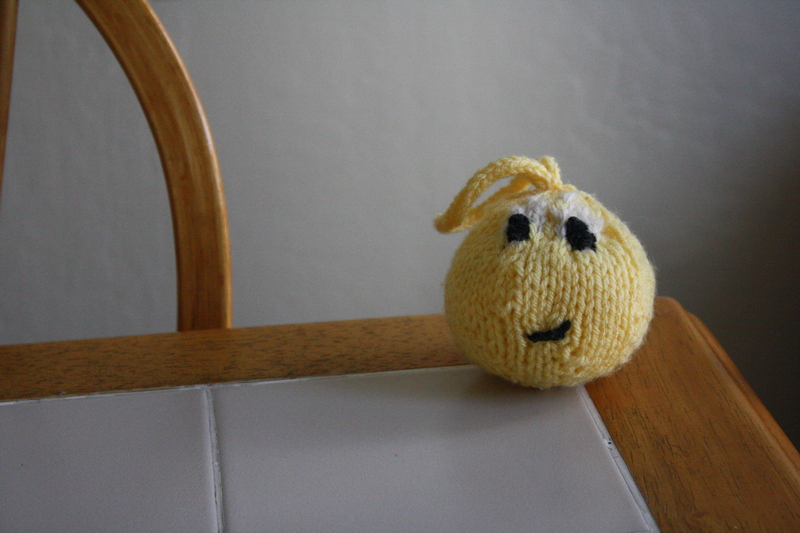 My original intent for this little sucker was a chick, but after I put the face on it, I just kind of stopped, knit the I-cord, and then declared it a car ornament. 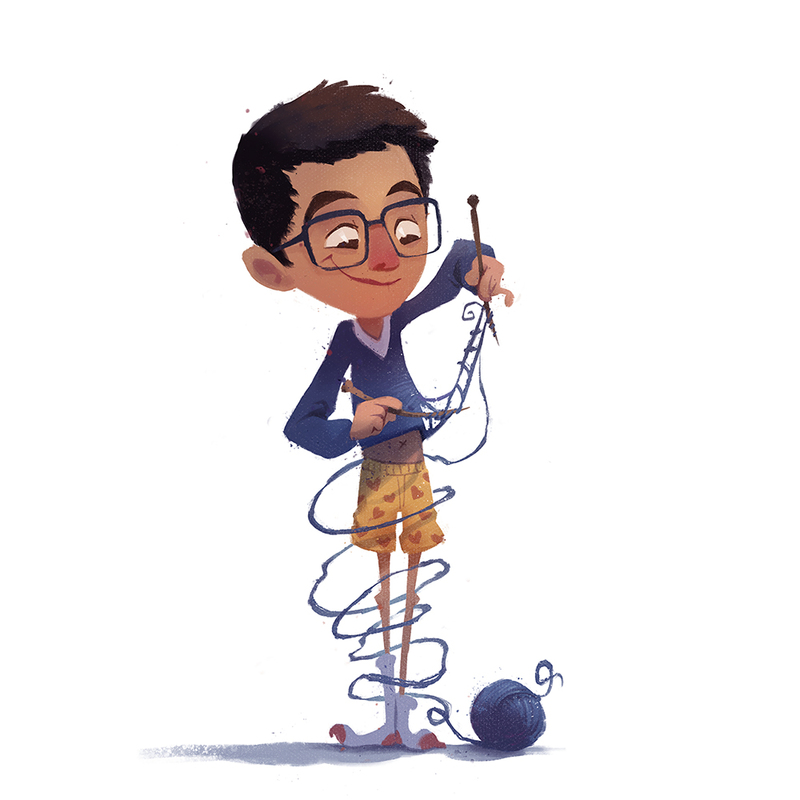 While making this I was able to practice knitting spheres (learn how here!). Have you ever given someone a gift card and then feel really bad when you just hand them an envelope? Well, this little gift card monster is the solution! It’s a (semi)cute thing that’s nice to give in addition to your monetary present, and it’s a nifty way of presenting the gift card itself! 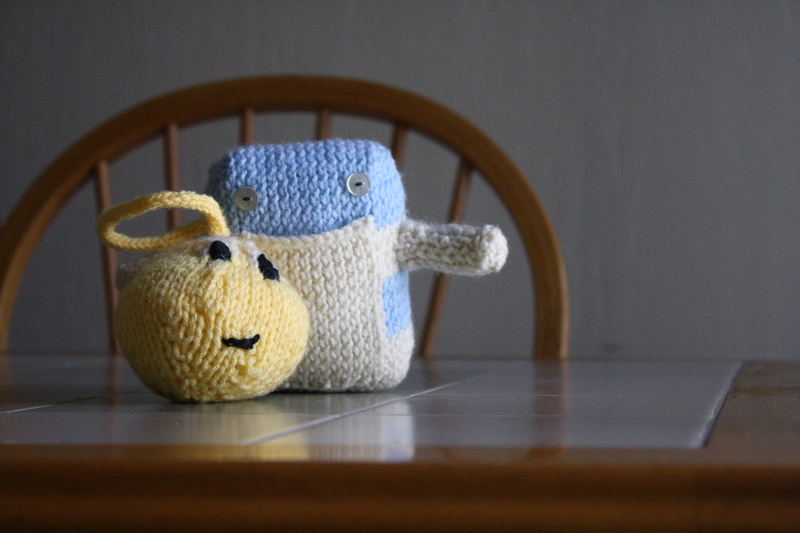 I actually made this around a year ago, along with a football-sized turnip, bean bag lemon, and smiley nigiri, but I have since given the others away, and am left with just this monster. 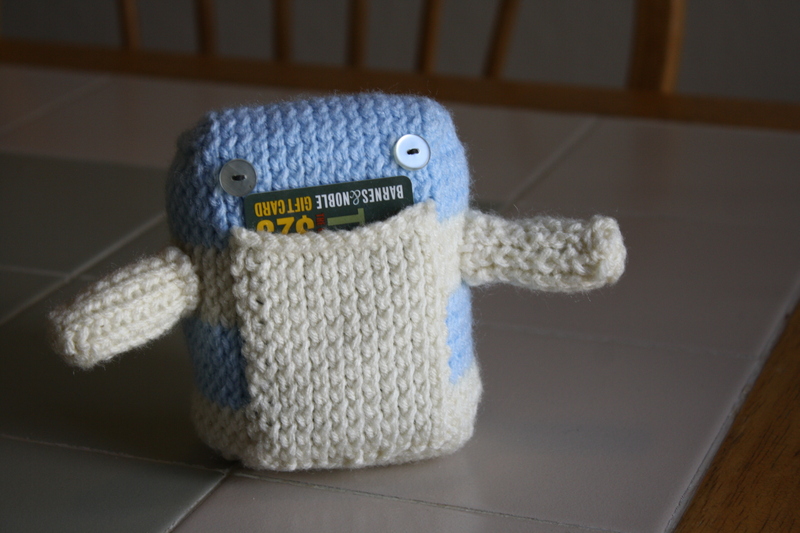 And yes, I know the arms are a tad too proportional (it would be cuter if it had just stubs for arms), but, like I said, I’m bad at knitting tiny things. In other news, it came to my attention that there is a knitting contest approaching hosted by Martha Stewart herself (or at least her yarn brand). I’ve never heard of a knitting contest before, but this piqued my interest because the first place prize is 125 skeins of yarn. 125 skeins. Just imagine how many gift card monsters I could make out of that! I could even make an adult sized onesie if I wanted to! However, after the first place prize, it goes drastically downhill from there. The third place prizes (there are 25) are year long subscriptions to Martha Stewart Living, which will basically tell me all of the things I could have made had I won 125 free skeins of yarn. Therefore, I am officially throwing my proverbially knit hat into the ring and am currently accepting ideas for what I should submit for the contest. All ideas are welcome, and, if I win something, the person who gave me the winning idea can have the finished product! Also, if I win a third place prize the person who gave me the winning idea can have a year’s subscription to Martha Stewart Living! They judge on creativity, use of color, and quality. Shoot! *** The two defining characteristics of addiction are dependence (having a bodily need for the substance) and tolerance (requiring more of the substance each time in order to attain the same effect). Drug addiction vs. abuse! You are the expert! And you can’t knit small things because your hands are too gnarled.